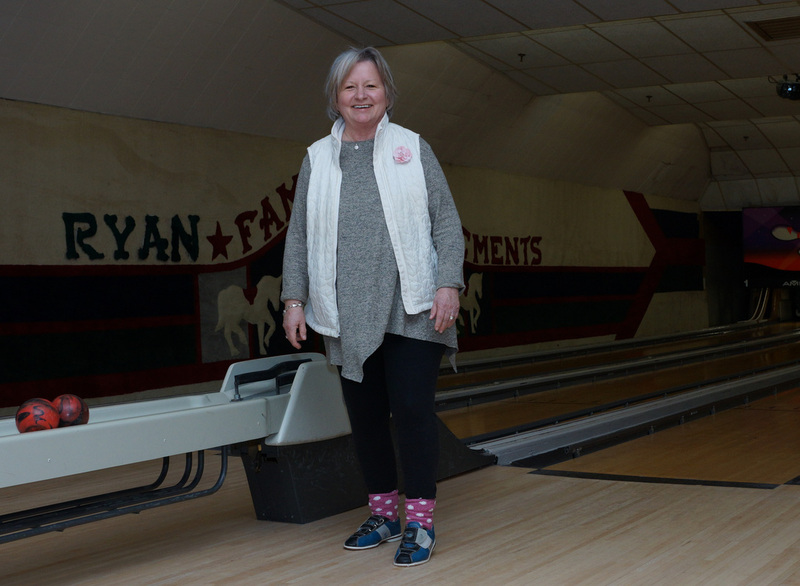 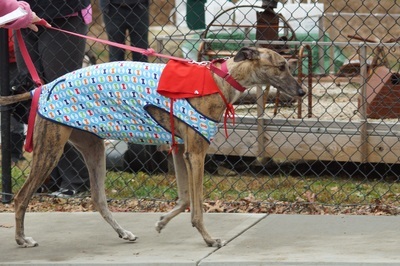 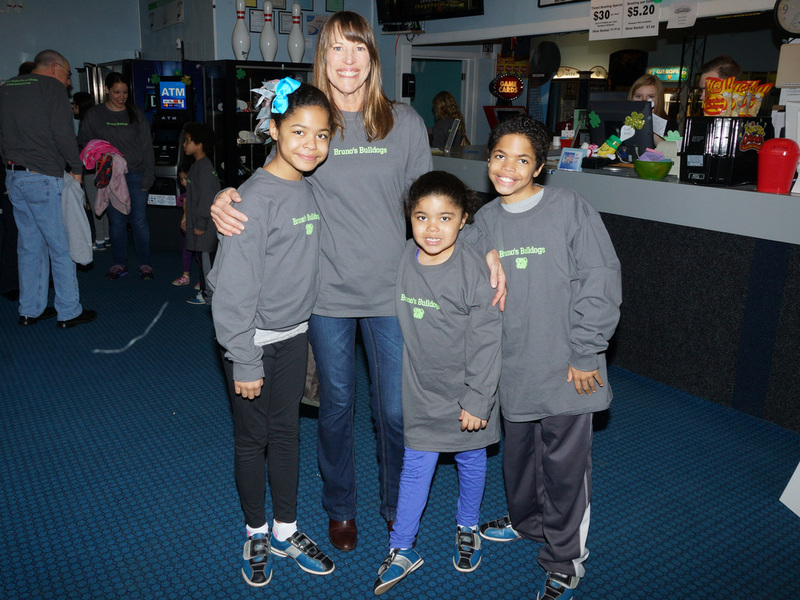 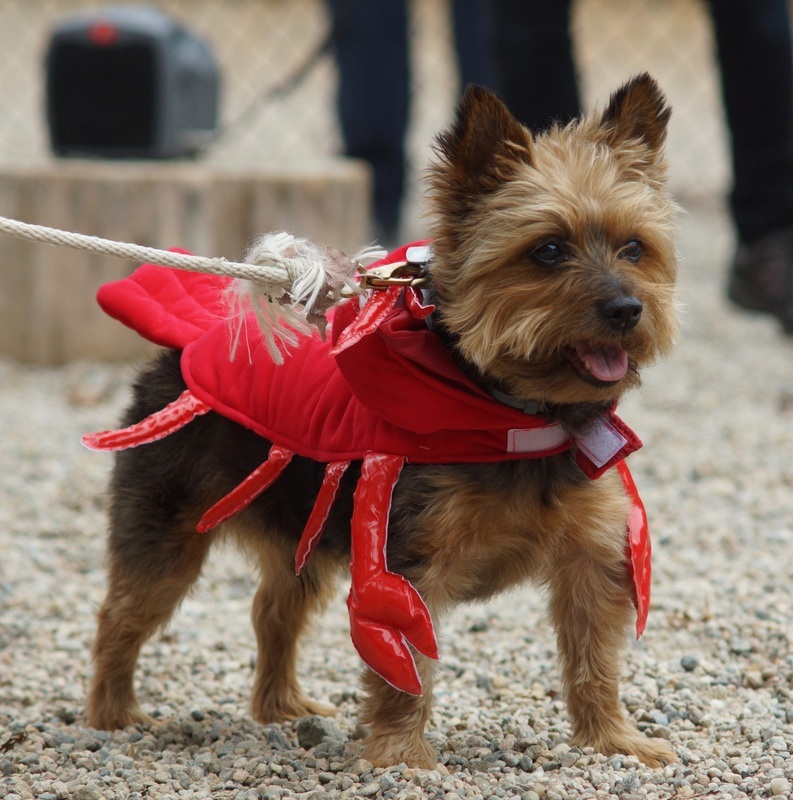 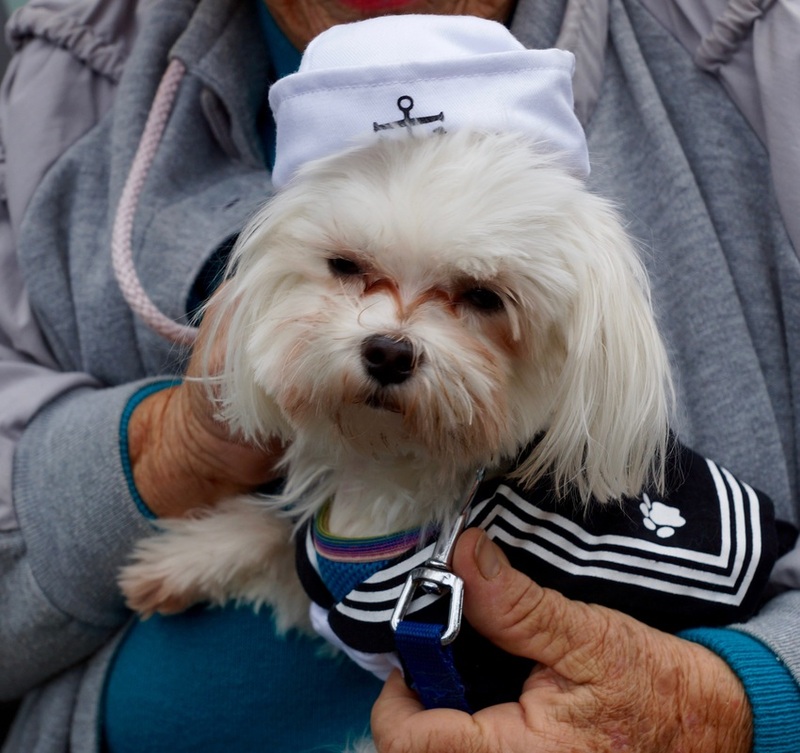 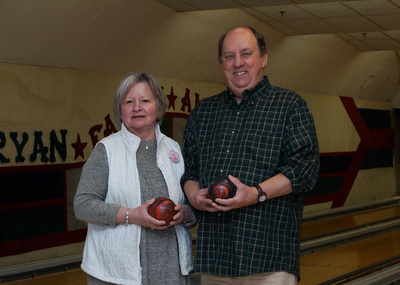 Our fifth Doggie Bowl was held on March 15 at Ryan's Family Amusements in Falmouth. Please support our lane sponsors and gift donors. 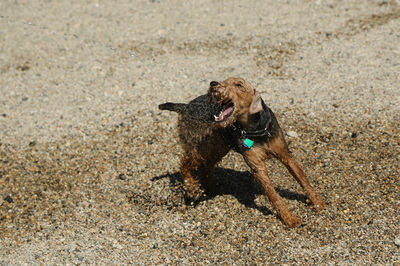 And when you visit them, please tell them you appreciate their support of the Falmouth Dog Park. 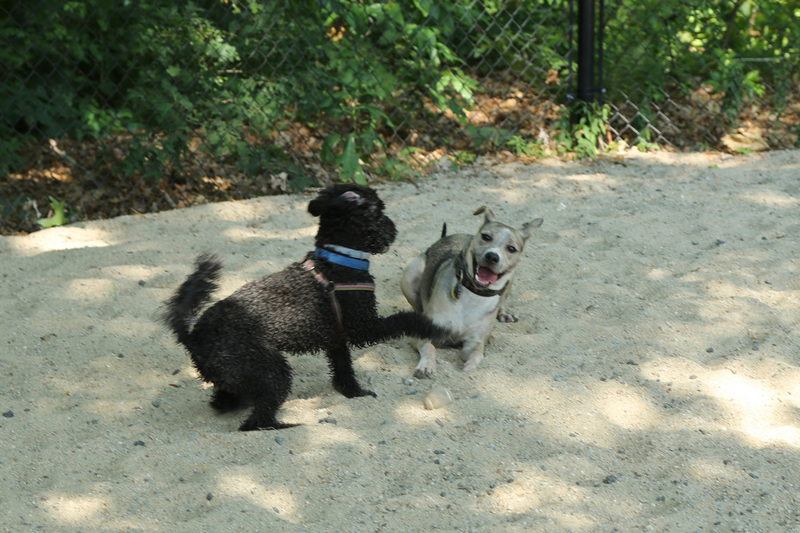 The Park is Open! 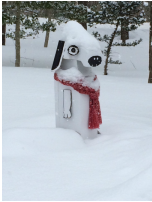 Thanks to those of you who helped to dig us out from this latest storm. 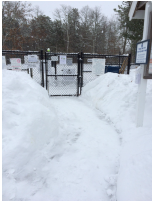 The walk ways from the parking areas have been cleared, as has the entry way. 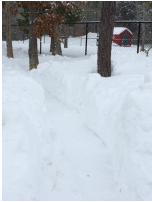 Some of the benches and walkways within the large dog area have been cleared. At this time, the small dog area is not open. 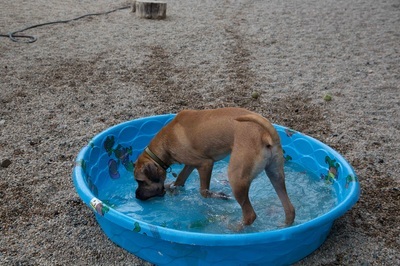 We may have to wait until the Spring thaw. Again, thanks to all who have helped to keep our park open. 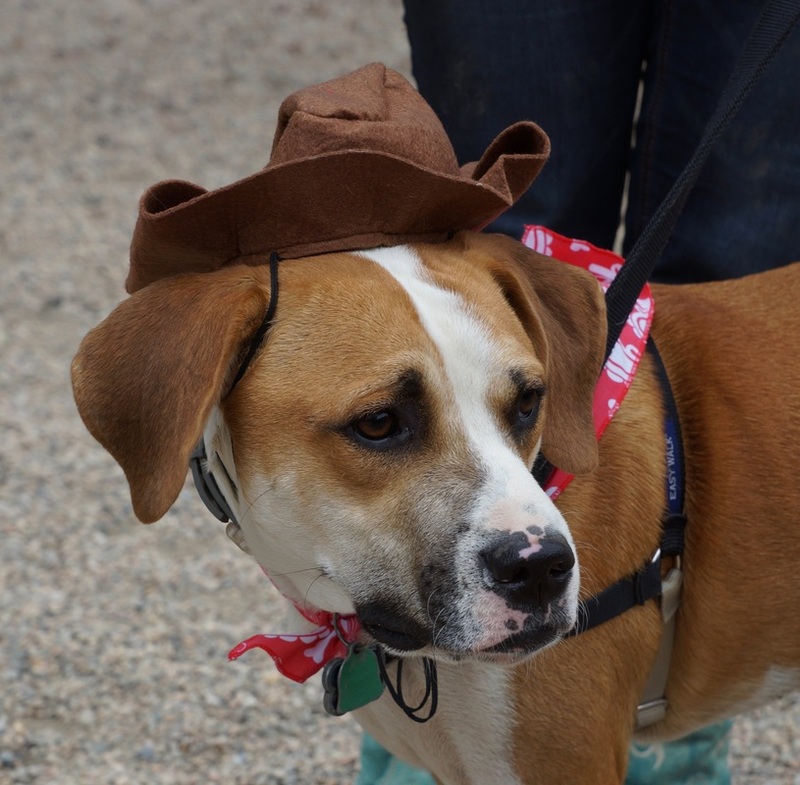 On Sunday, May 31, we will be kicking off our fundraising drive for 2015. 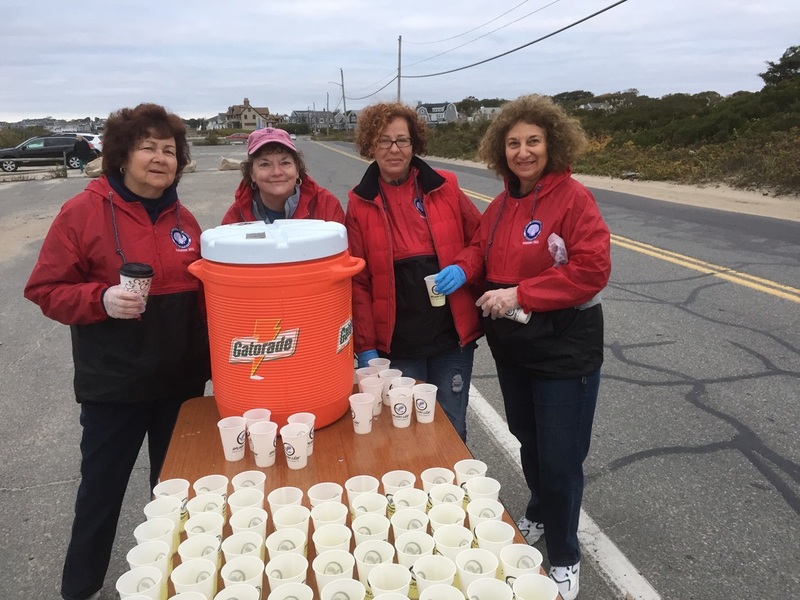 Board members will be at the Park starting at 9:00 am to tell people about the appeal, and to hand out brochures and coin collection banks. 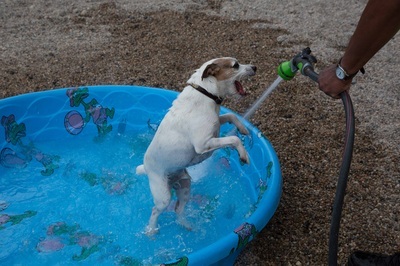 The Appeal will run from May 31 through Oct 31. 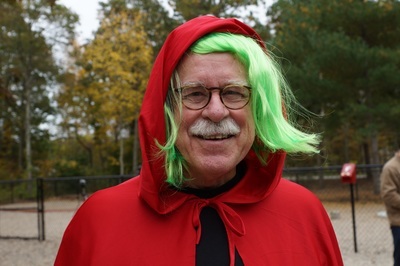 Our goal is $5,000. 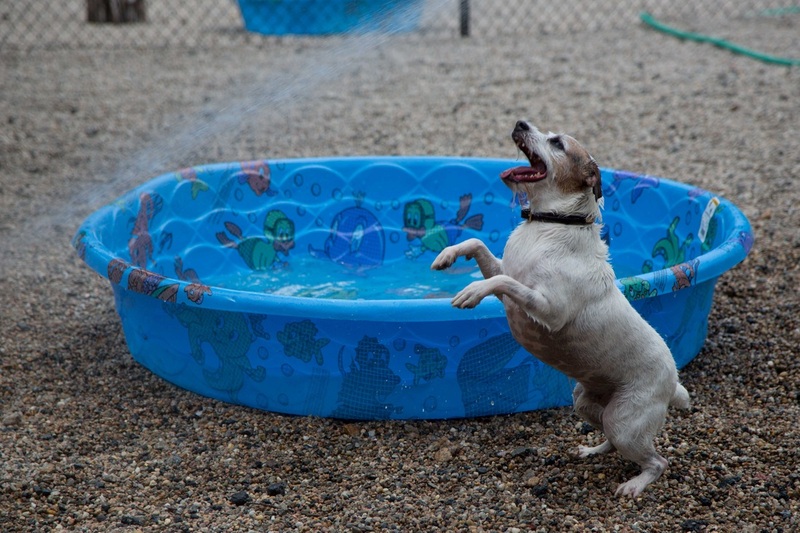 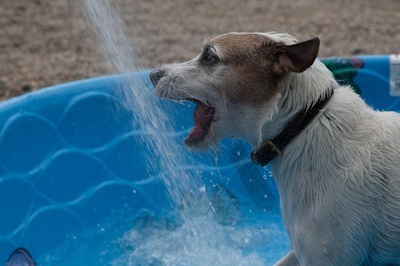 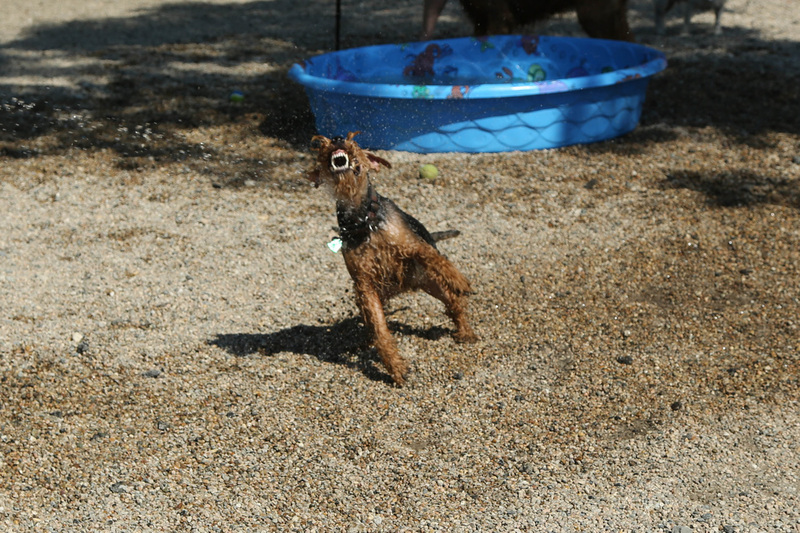 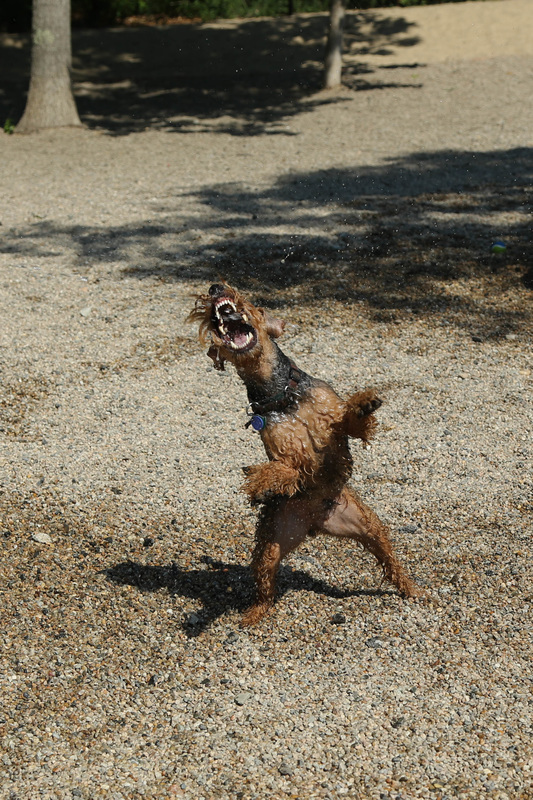 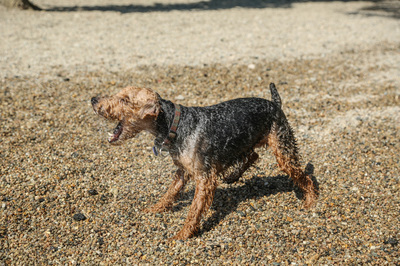 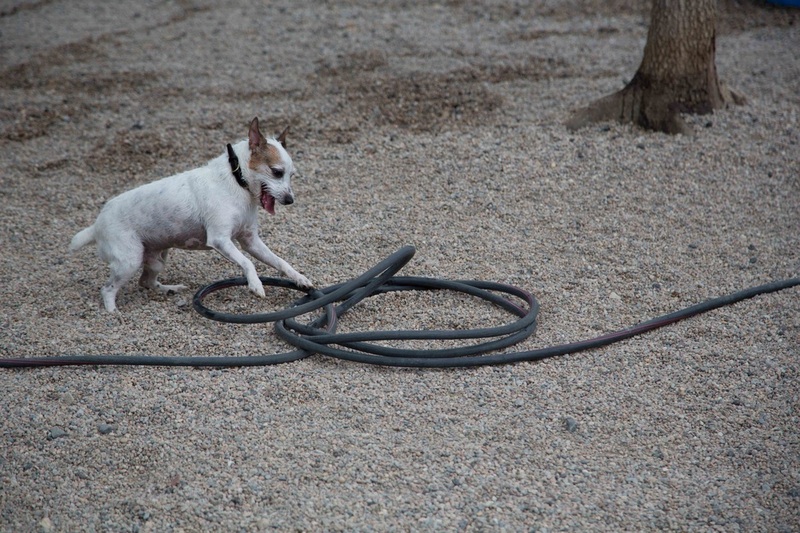 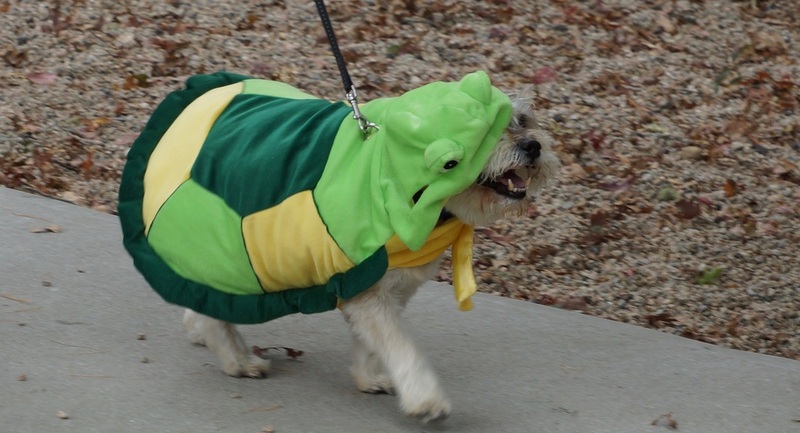 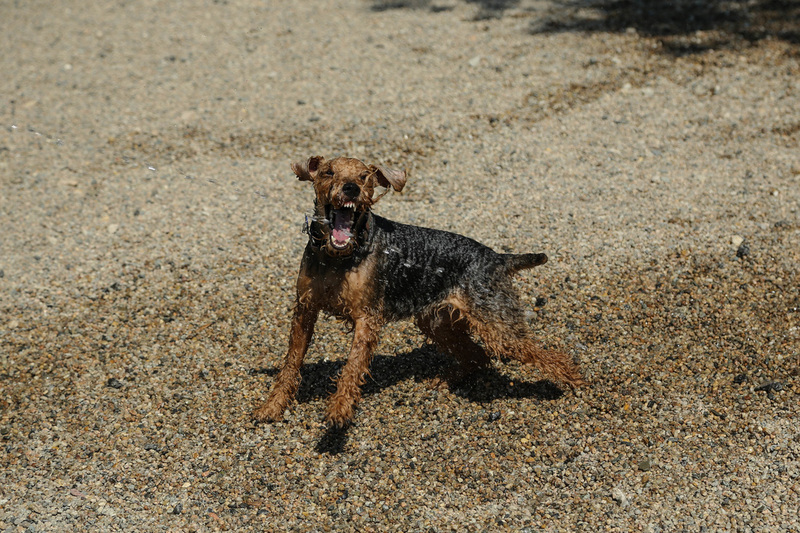 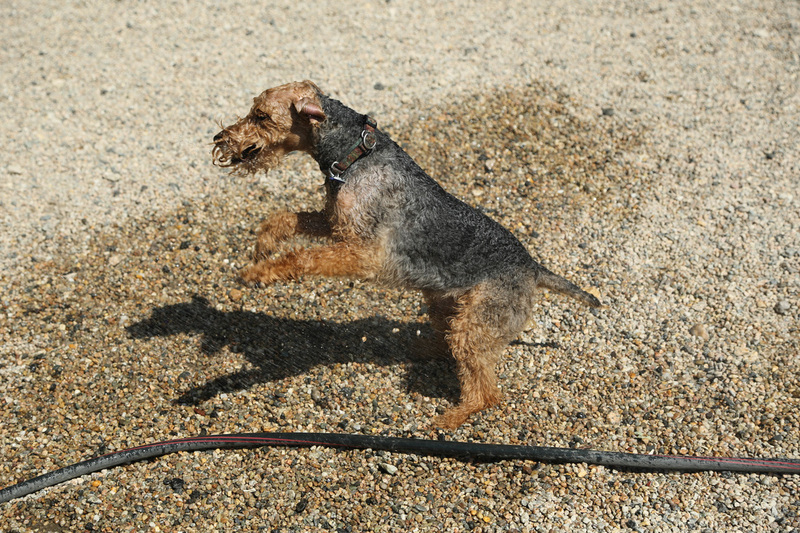 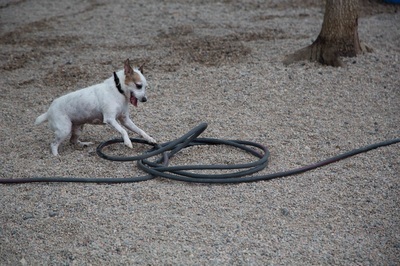 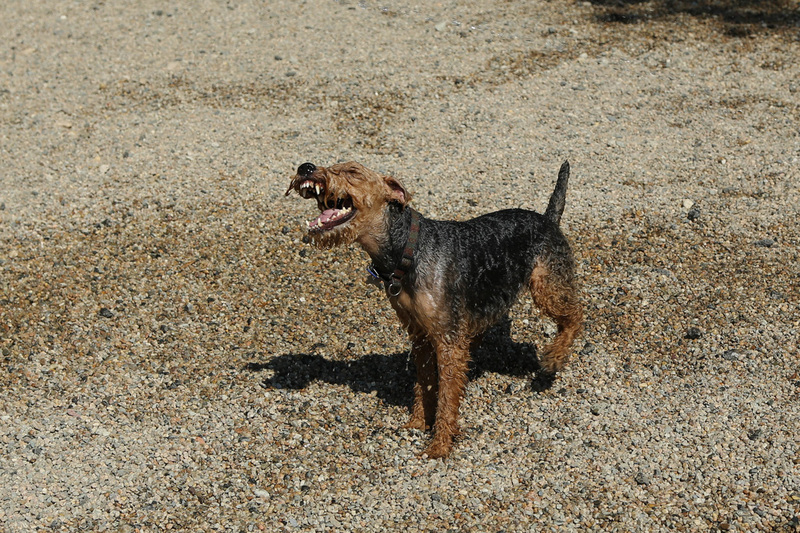 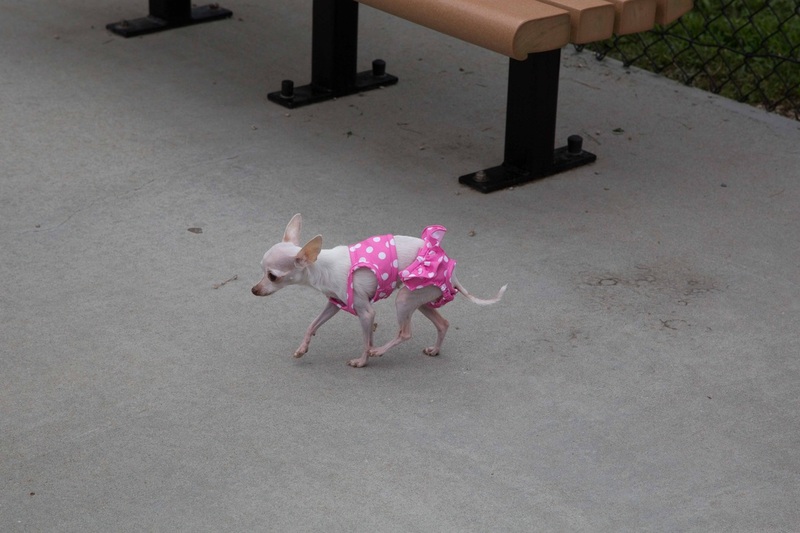 Maintaining the dog park costs roughly $5,000 annually. This includes insurance, pea stone replenishment, driveway maintenance, garbage bags, mutt mitts, web hosting, printing costs, and any other supplies. Fundraising is crucial in keeping the park open, safe and in good condition. 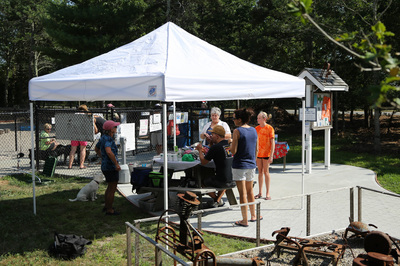 There are a number of ways that our guests can choose to help with the financial burden of the park. They can use one of the donation envelopes on the kiosk to send in a donation. 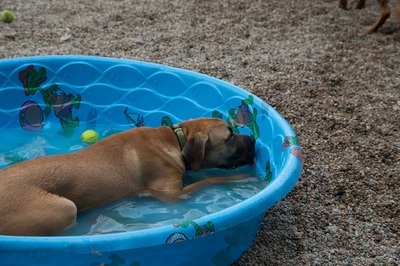 Through our web page they can make a donation using a credit card, or via Paypal. They can even choose an automatic, monthly donation. Another way is to pick up one of our Coin Collection banks, and save loose change over the course of the summer. We will have the banks available on Sunday and at other times during the summer. 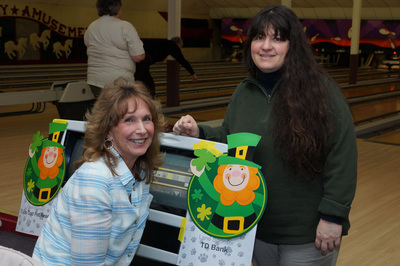 Each bank is numbered, so we will be asking each person who takes a bank to give us their name and phone number. 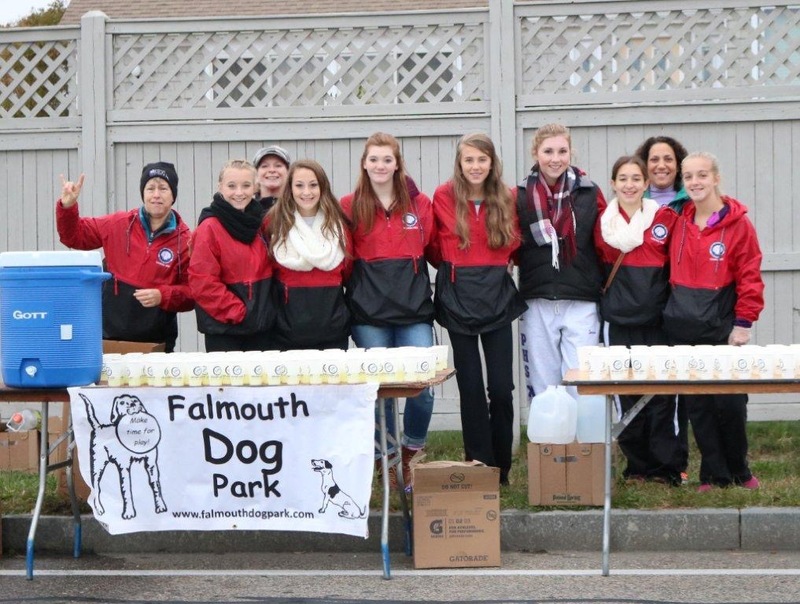 We will be collecting the banks at the park on Sunday, Oct 31. 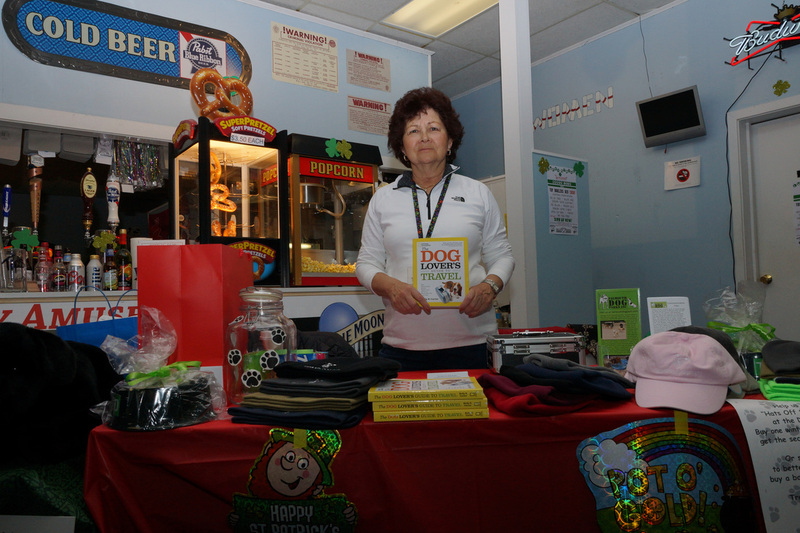 The person who turns in the most money will win a prize. 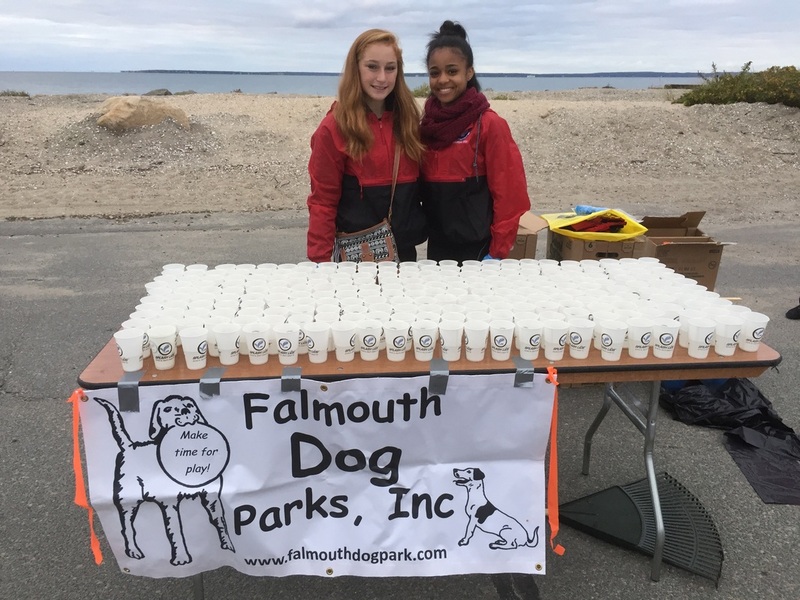 Since we get no money from the Town of Falmouth, we rely on programs like this to keep the park open, safe, and in good condition. 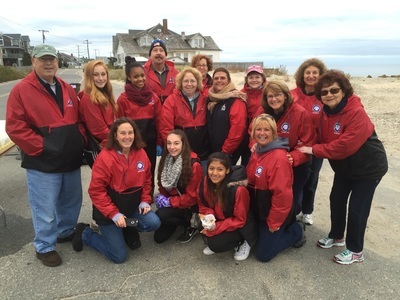 And we rely on the efforts of a great group of volunteers. 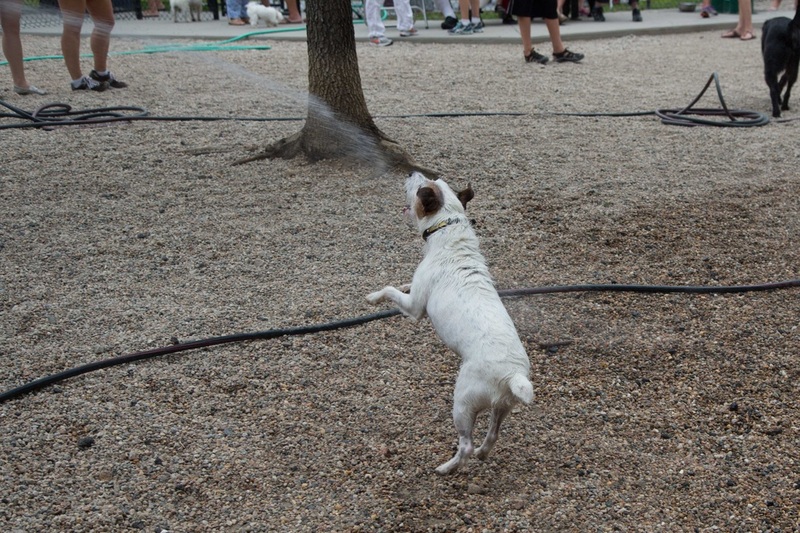 If you are around on Sunday, stop by the park. 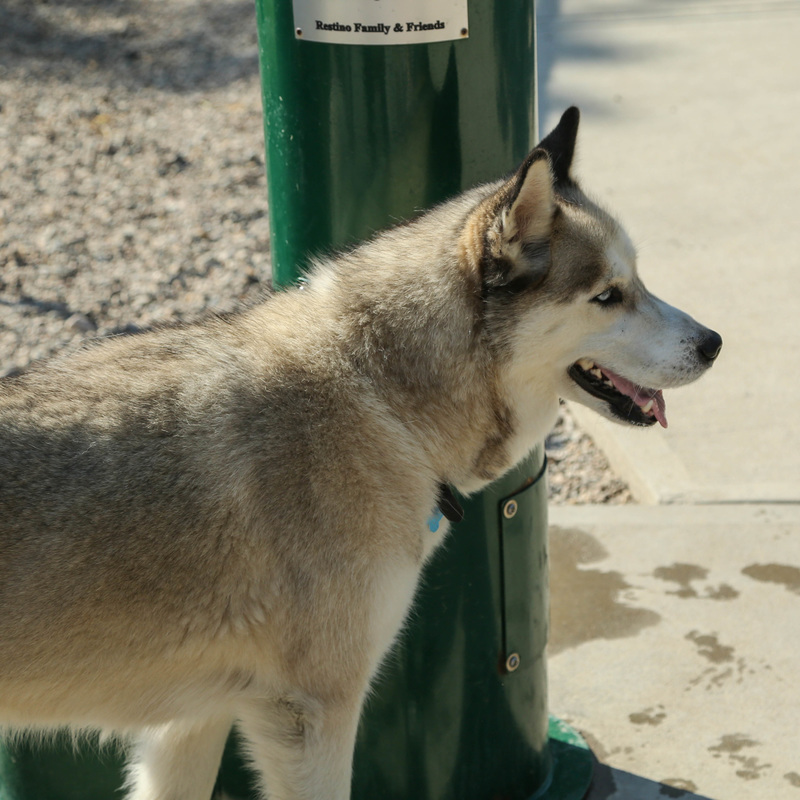 When you are at the park, please talk to the guests about the program. 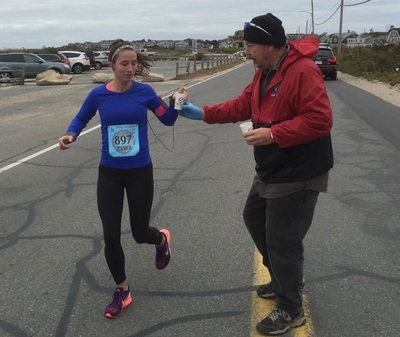 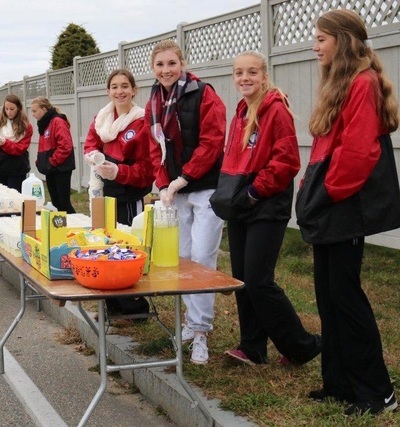 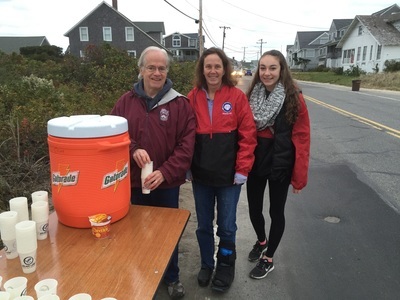 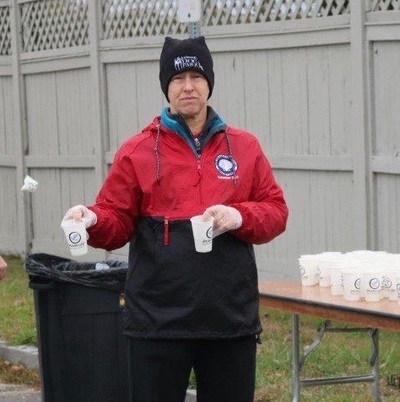 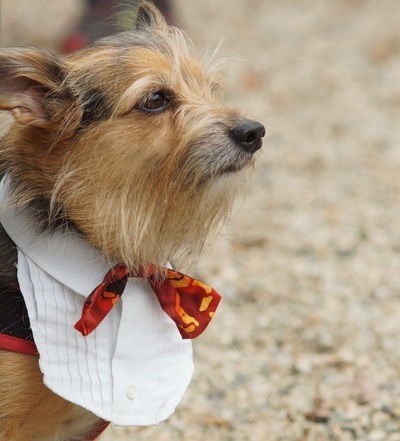 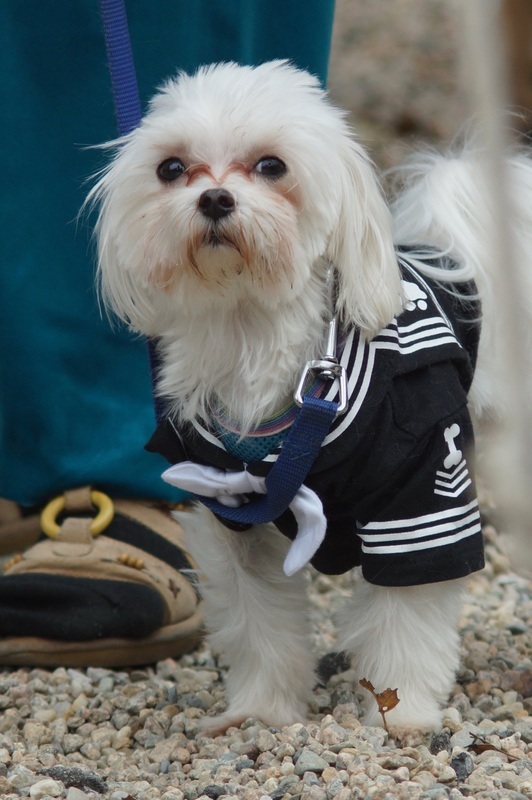 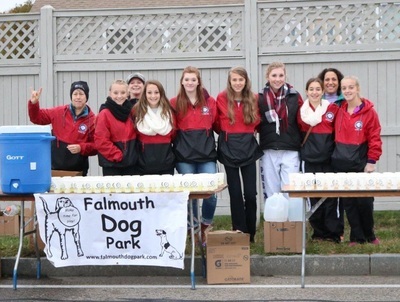 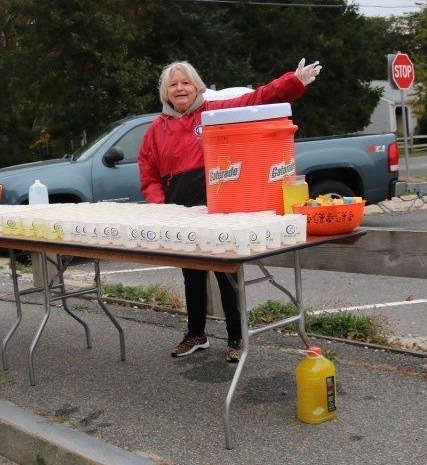 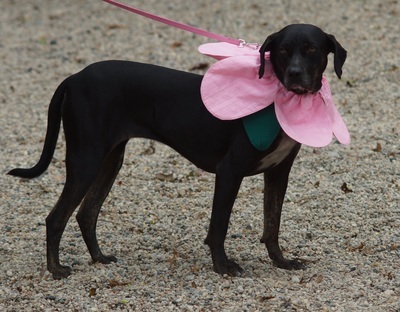 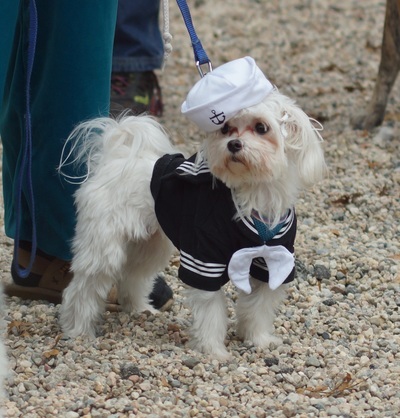 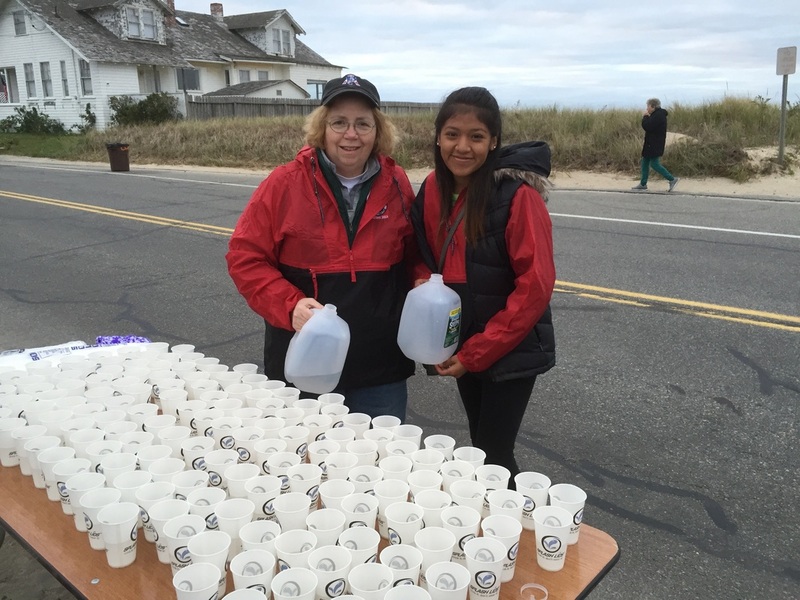 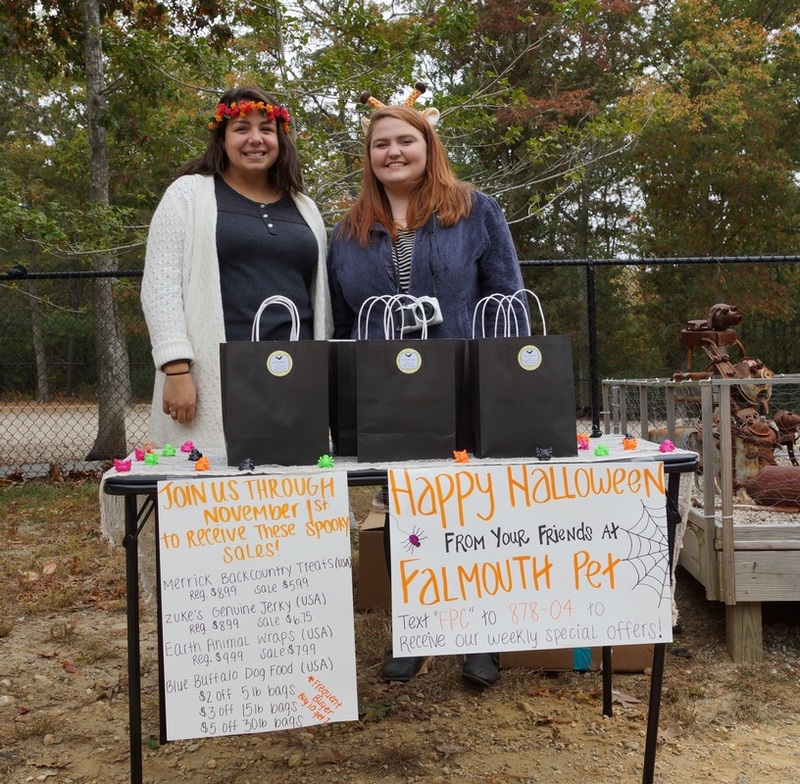 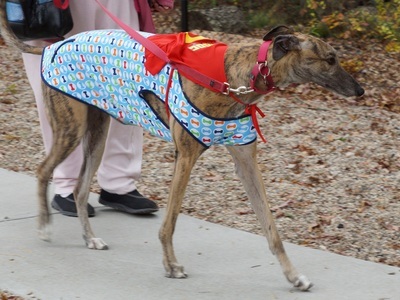 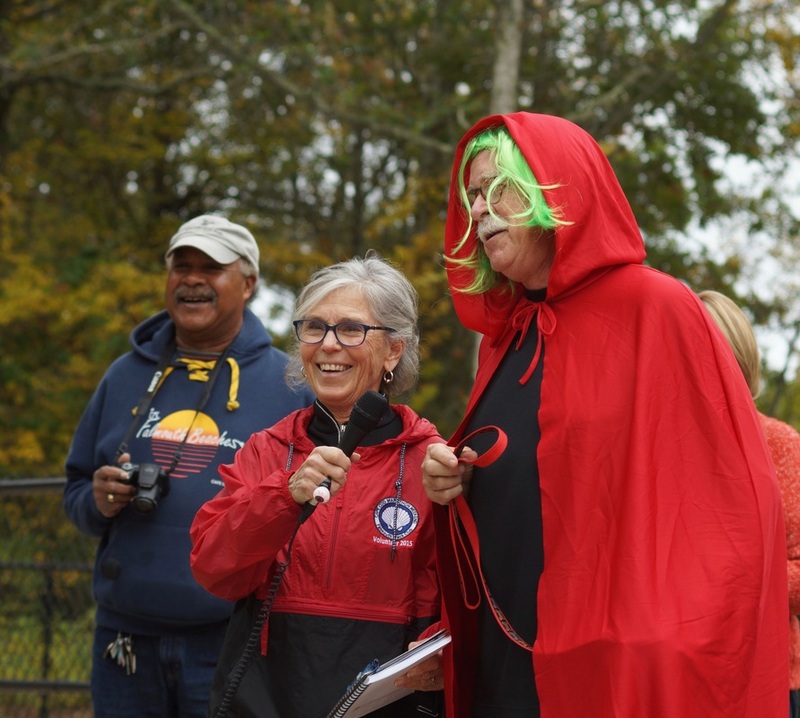 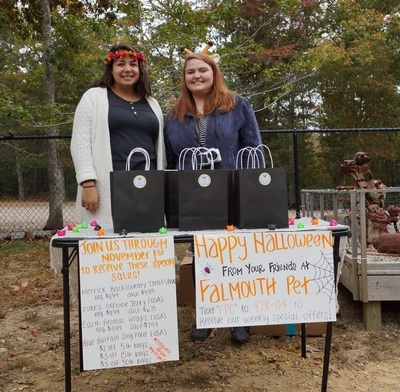 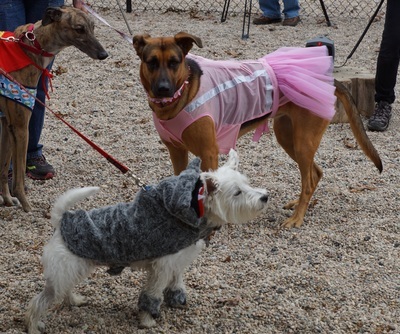 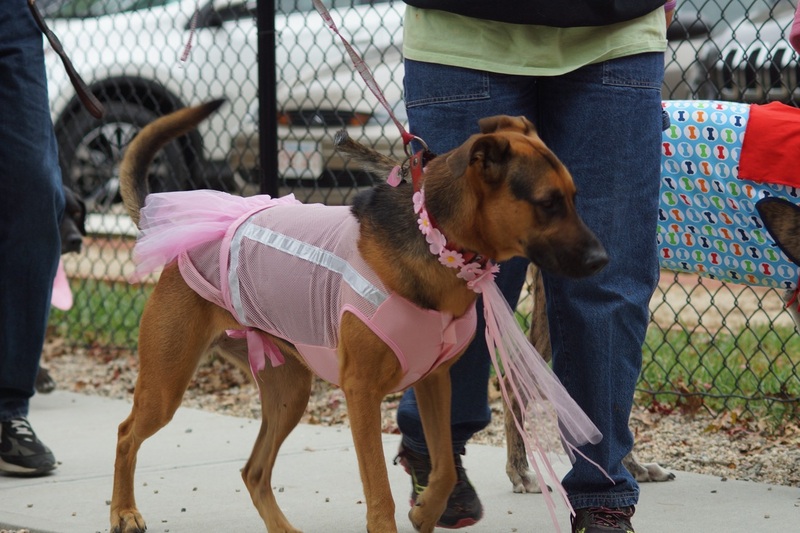 As in years past, the Falmouth Dog Park volunteers staffed two water stations at the Half-Marathon on Oct 24. 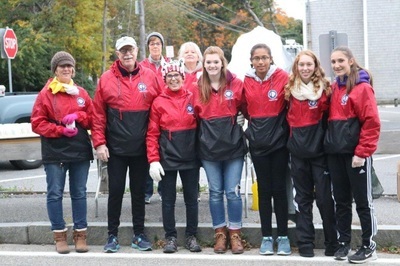 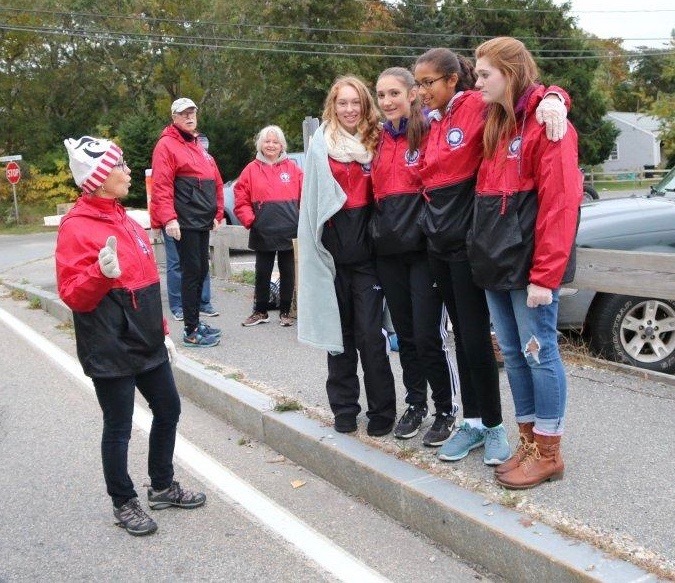 In addition to our local volunteers, we were assisted by the members of the Pittsfield Track Team, who were in town to help us and to run in the full Marathon. Thanks to all our volunteers for making this effort a great success. 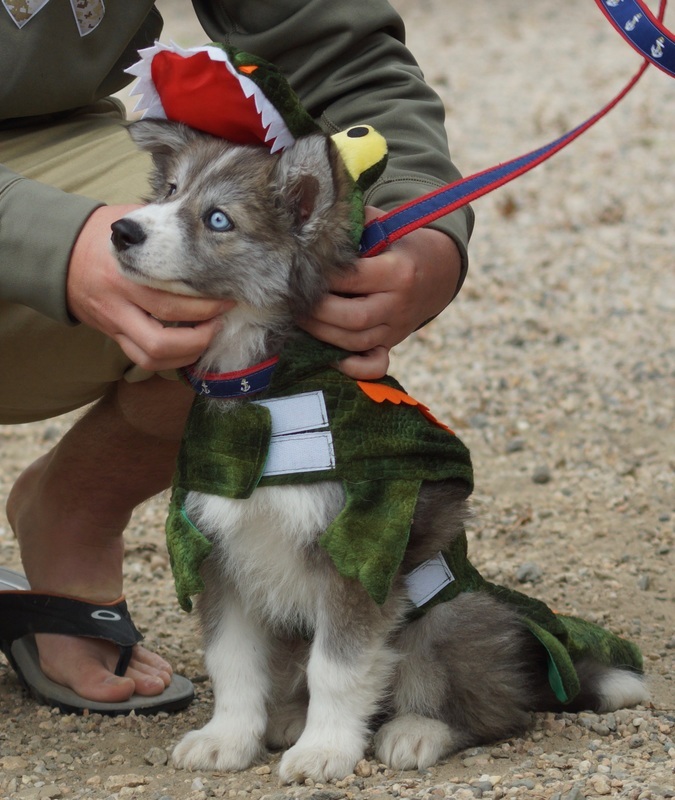 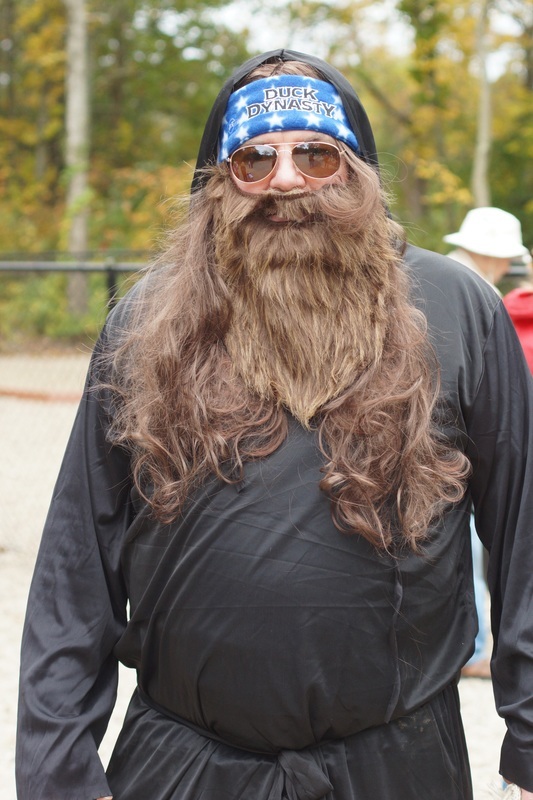 We had a great Halloween Party 2015! 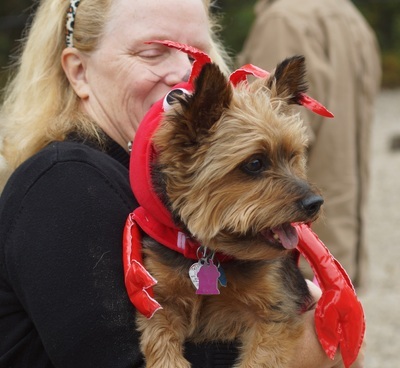 We had a great time at the Howlin' Good Time event. 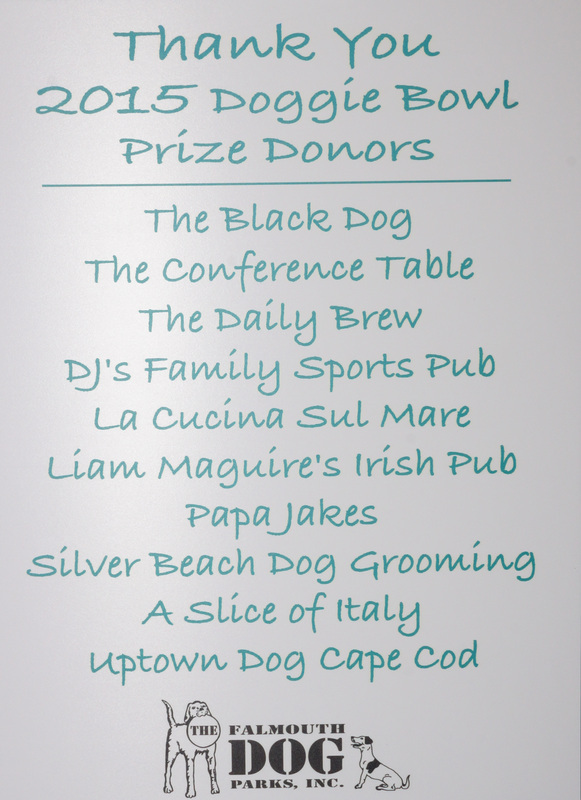 Thanks to everyone who came to the event, and to the sponsors who donated great prizes. 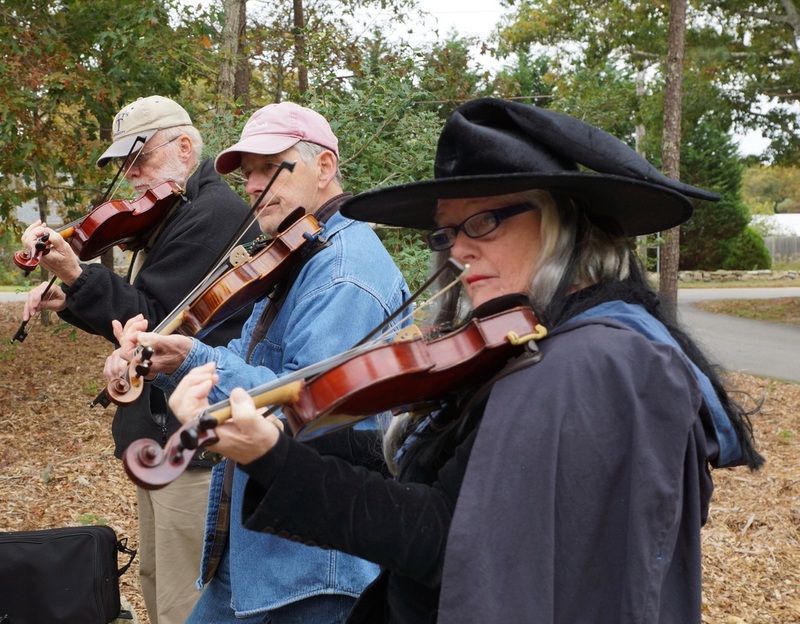 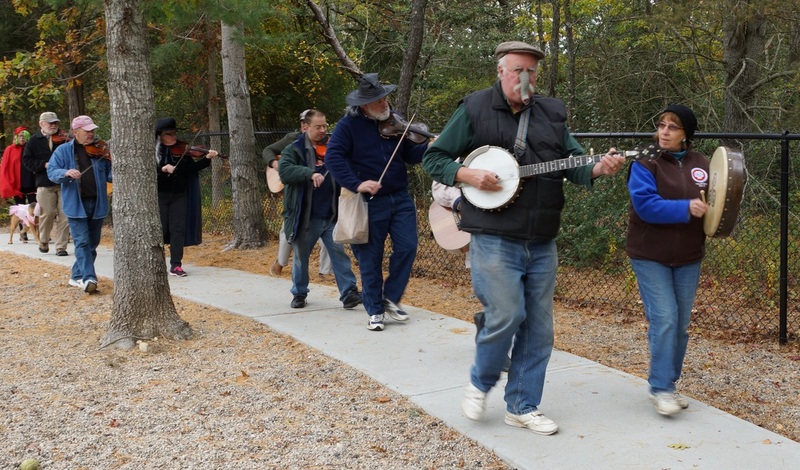 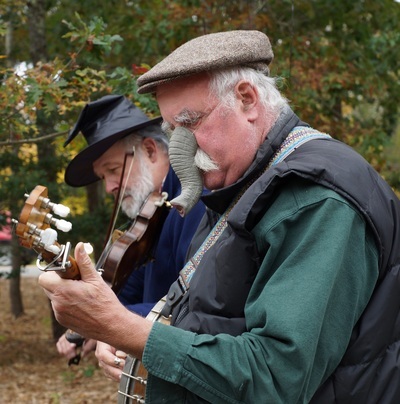 And of course to the Falmouth Fiddlers for providing the music. 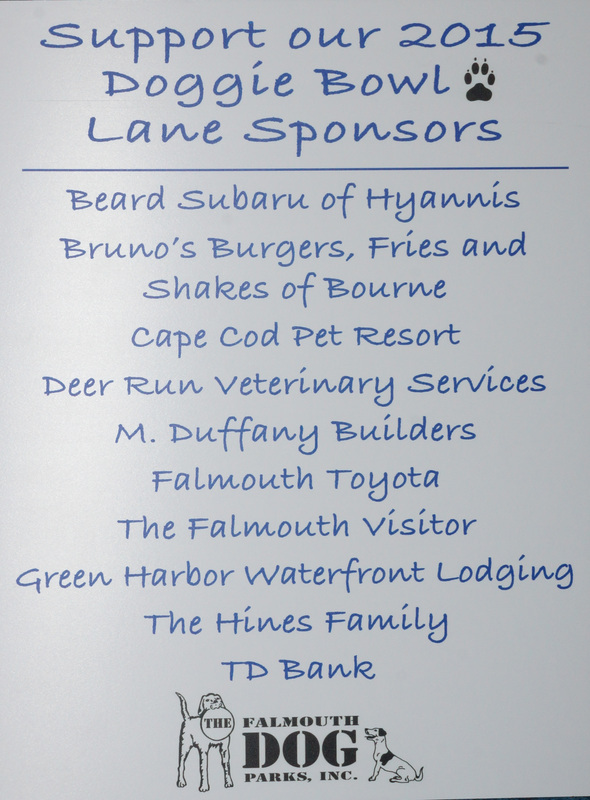 Please stop in and thank our local sponsors of the event. Let them know you appreciate their support of the Dog Park! 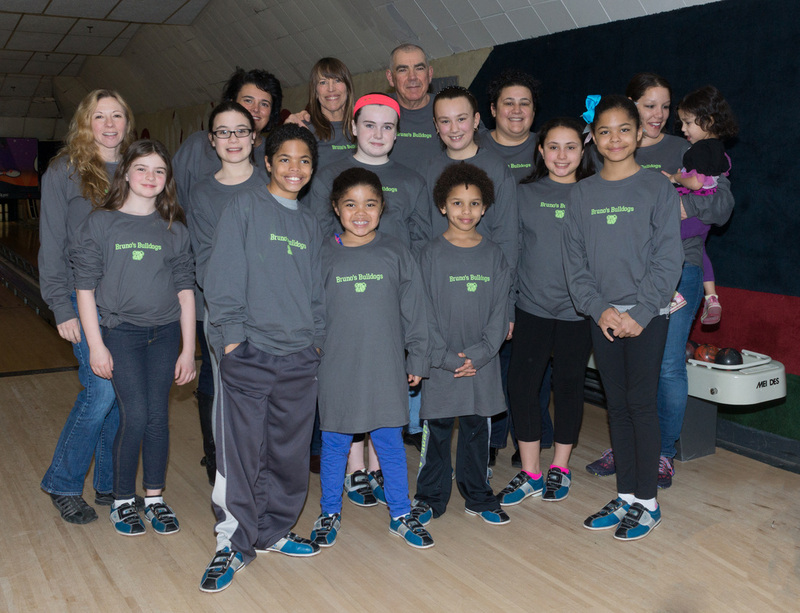 Our 2015 Annual Appeal raises $8185 !!! 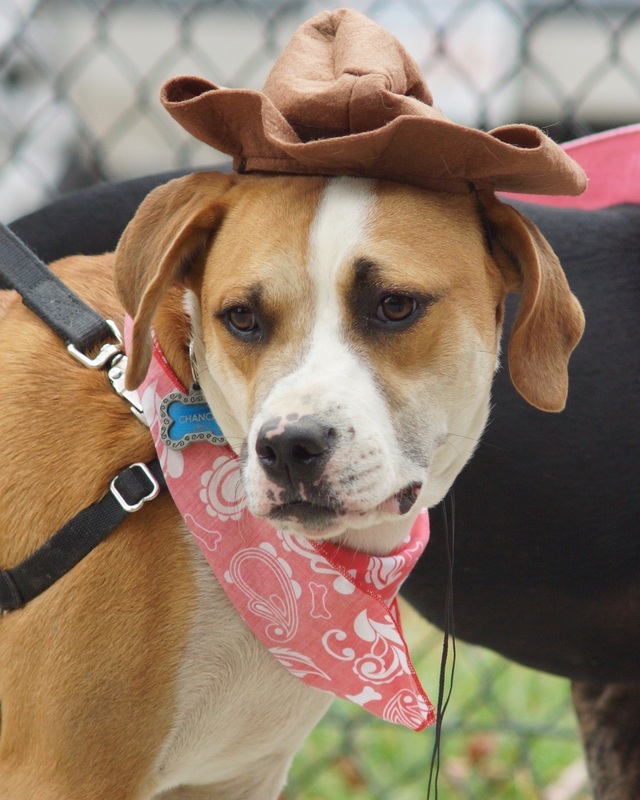 Our 2015 Annual Appeal ended on Oct 31st, and we are pleased to report that we raised $8185 !!! 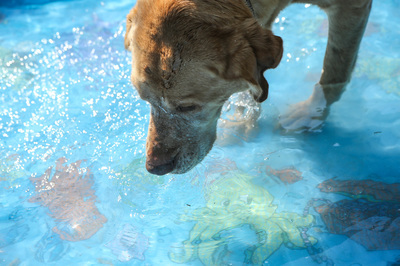 Thanks to all who contributed to the Appeal. That includes the generous people who contributed money and those who purchased our clothing and other items, and to the many local businesses who contributed prizes and gifts at our various events this year. 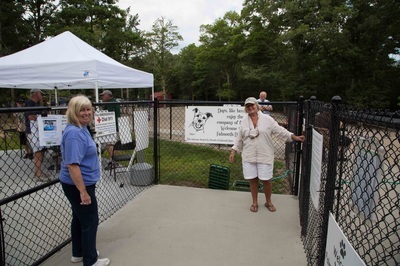 Please support them and thank them when you visit. 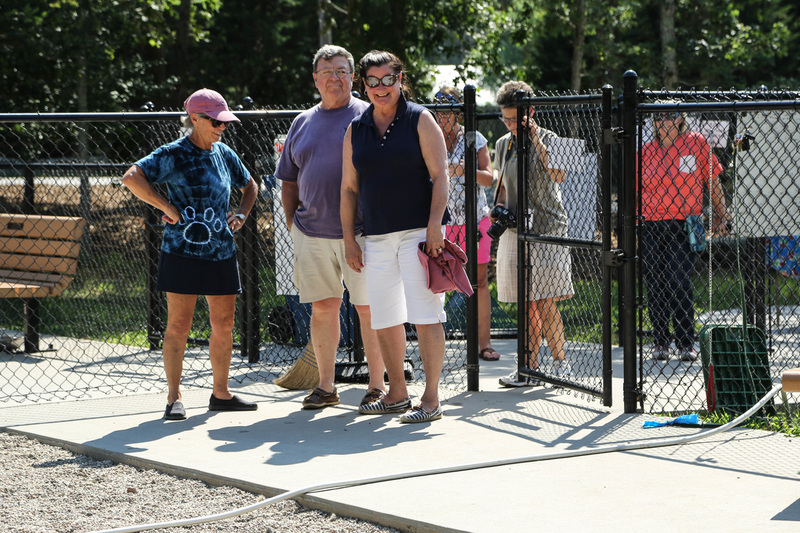 An improved entryway to the park. 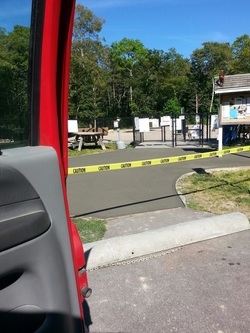 Thanks to Bill Witter Concrete for helping to improve the entryway to the park. We also want to thank the visitors today who used the back gate to enter the park to allow the concrete to cure. 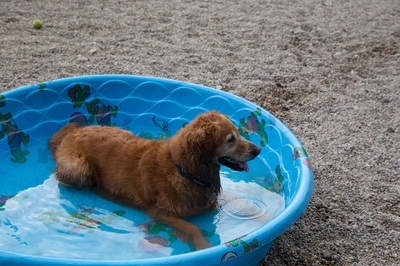 We should be back to normal operation on Tuesday, June 24. 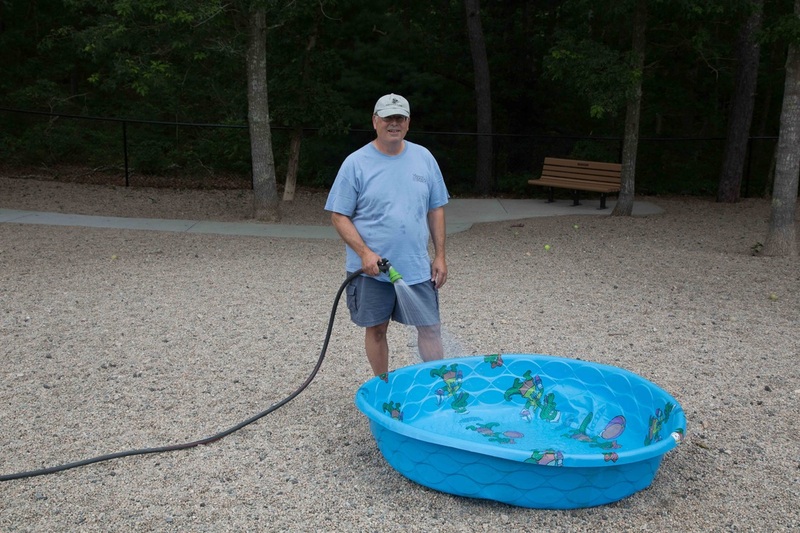 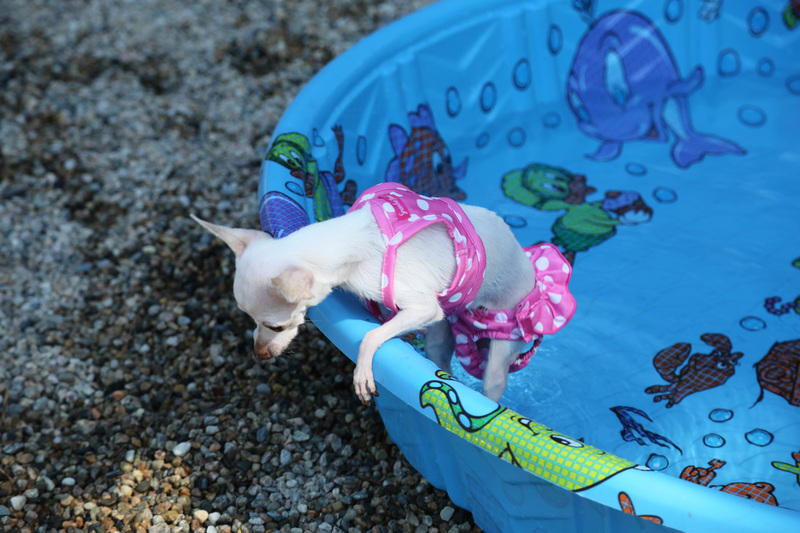 The Pool Party 2015 was a great success! 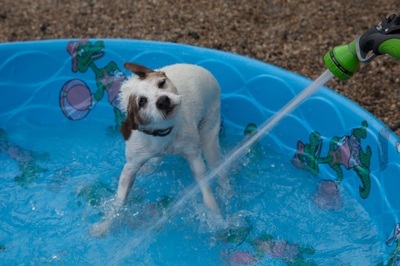 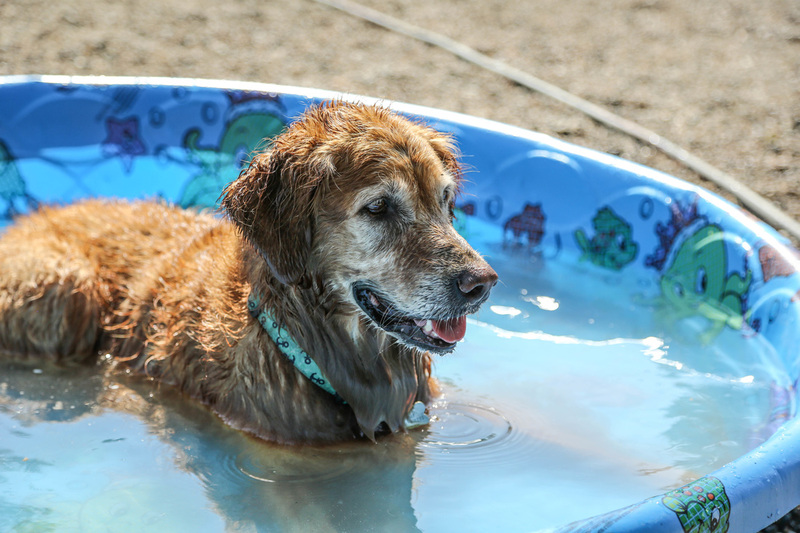 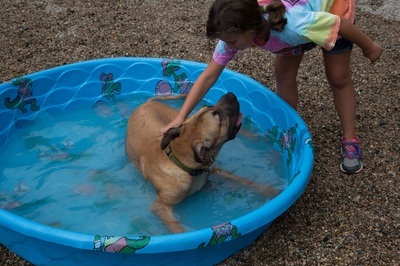 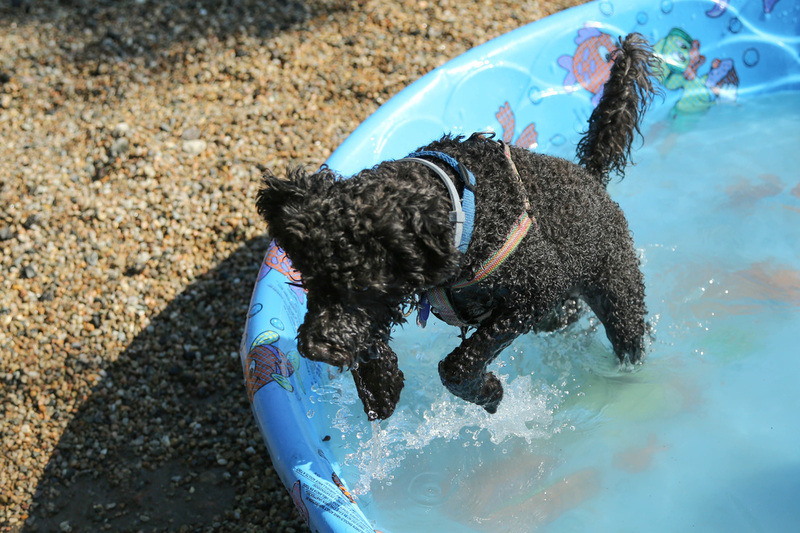 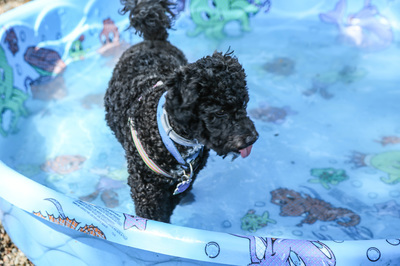 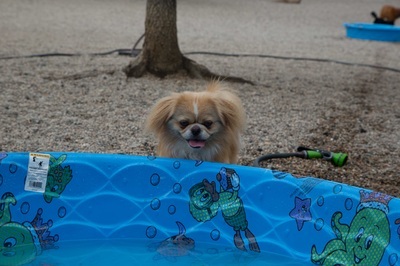 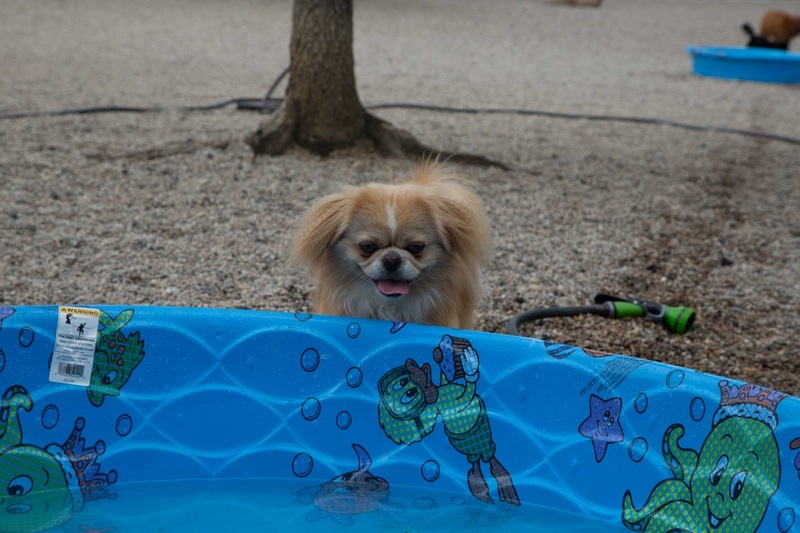 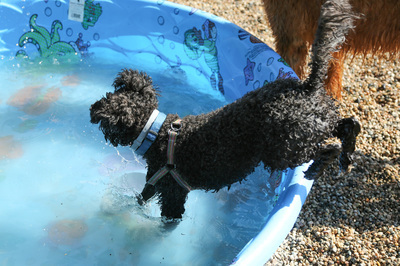 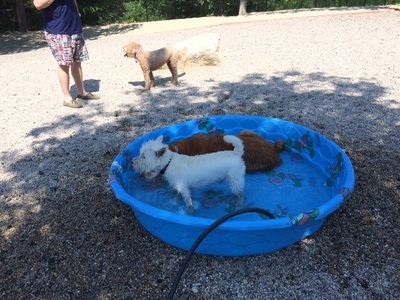 The Pool Party yesterday was a great success, thanks to the great group of people and dogs that came out to participate. 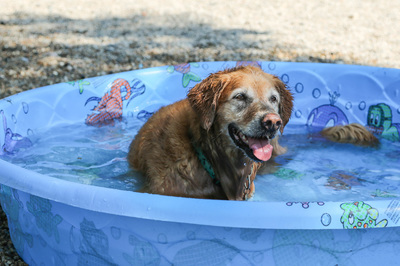 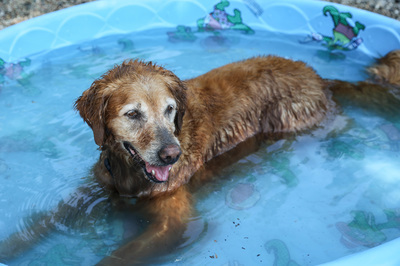 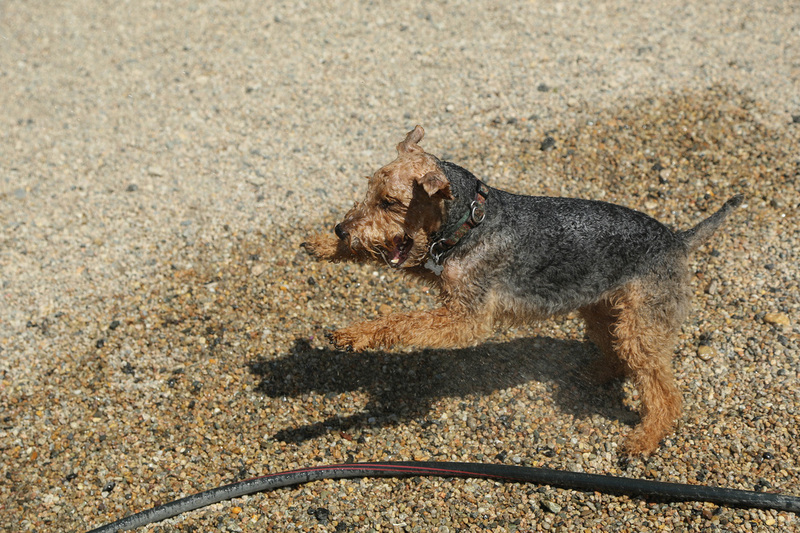 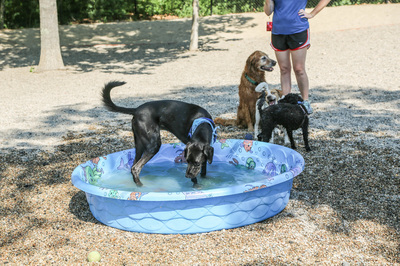 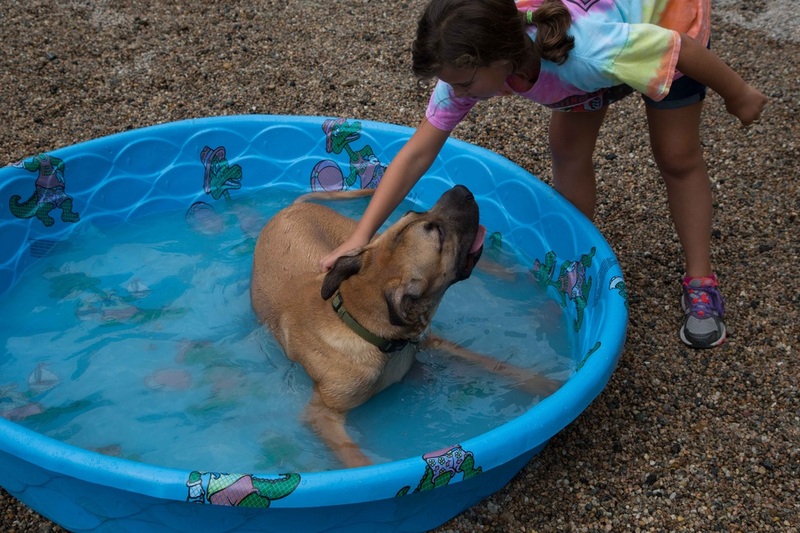 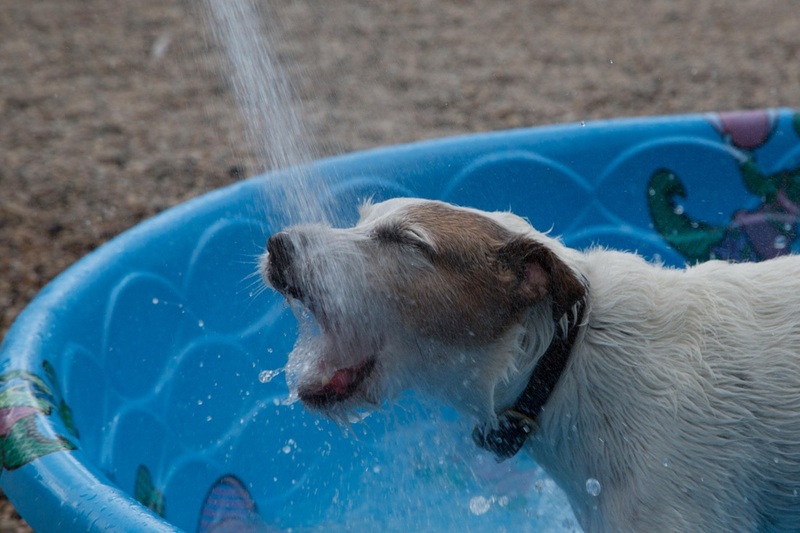 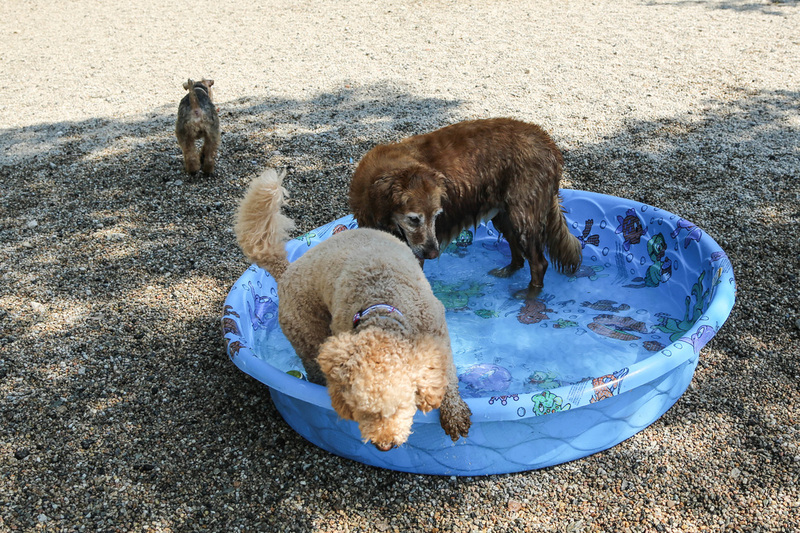 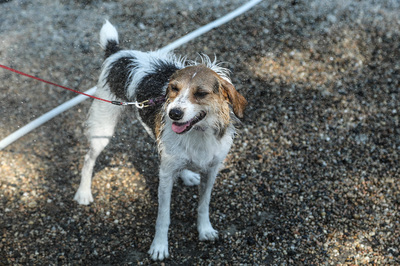 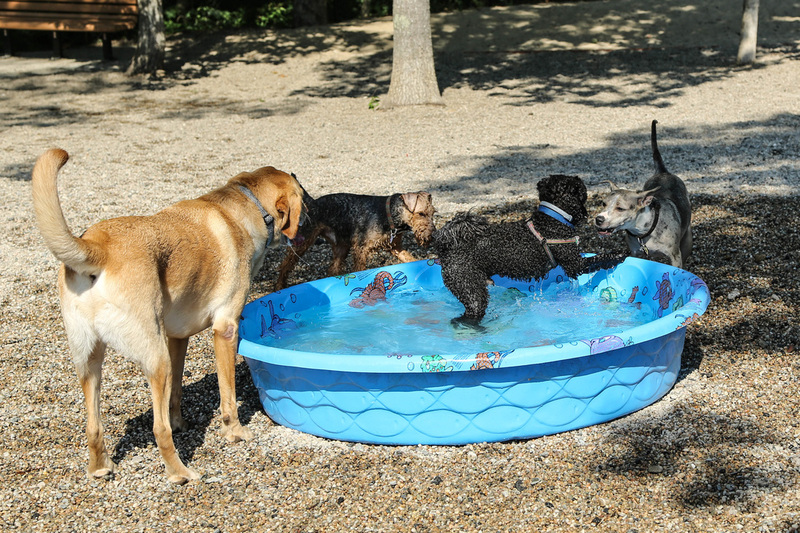 We had about 40 dogs, some of whom really enjoyed the water, others not so much. 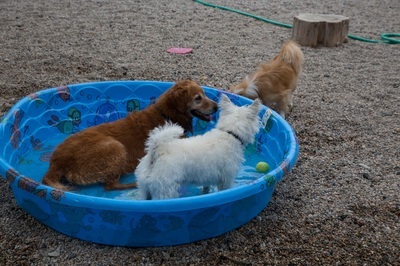 But everyone got along very well. 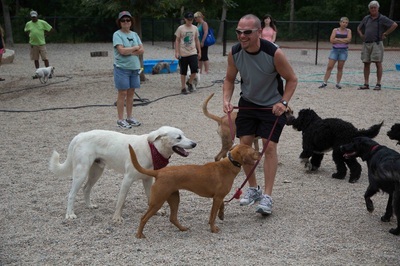 The later start this year meant a bit cooler temps and a lot more shade. We thank those of you who attended for your support, your donations, and your purchases. More photos will be posted soon. The Pool Party was great fun. 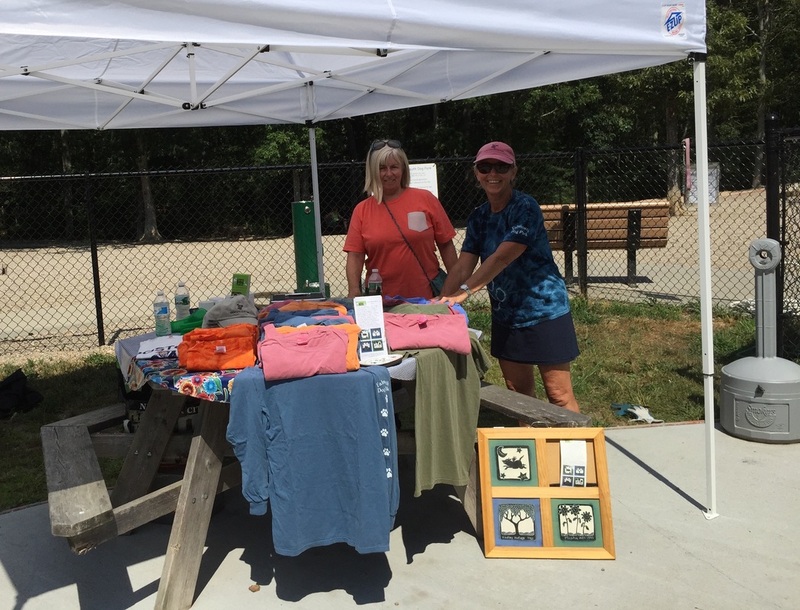 Thanks to all who came by. 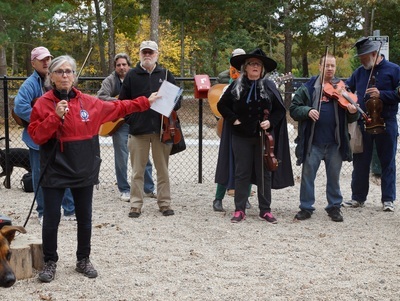 Below are some pictures, courtesy of Bruce Gendler.